Uber and The International Cricket Council (ICC) announced a world first partnership to support the first ever standalone ICC Women’s World T20 in the West Indies. It is said that Uber and the ICC aim to leverage one of the world’s most popular sports to engage the broader cricketing community in a conversation around the important role sport plays in empowering girls and women around the world. This partnership will encompass on-the-ground activation in participating WWT20 countries, in addition to the creation of a six-part digital film series featuring the inspiring stories of female cricketers, watch party and match day promotions across Uber and Uber Eats in participating countries. Commenting on the partnership, David Richardson, CEO of the International Cricket Council, said: “Uber is a globally recognized brand and one that is committed to the empowerment of women around the world. As a sport we have also made a commitment to grow the women’s game and it will form one of the pillars of our strategy that will be launched early next year. This is a genuine partnership that is focused on our shared values and Uber’s plans are exciting and complement what we’re trying to achieve. The traditional sponsorship model is changing and this collaboration is a reflection of that, it’s about a shared ambition to move women’s cricket forward, tell the story of our sport more broadly and build heroes in our game.” The ICC Women’s World T20 will be held from 9 to 24 November 2018, during the 2018–19 international cricket season. The 10-team tournament will be played as a standalone event for the first time between Australia, Bangladesh, England, India, Ireland, New Zealand, Pakistan, South Africa, Sri Lanka and the West Indies. In a keynote address at the third annual Emerging Technologies in Automation Conference and Trade Show, Grant Courville, vice president of product management and strategy for QNX, which is a division of Blackberry, has stated that fully autonomous vehicles may be further away than we think. Mr Courville explained that fully autonomous vehicles, in other words, vehicles with no accelerator pedal, brake pedal, nor steering wheel, are unlikely to be common-place until at least 2035. In the interim, vehicles will be produced with enhanced security features, as well as some autonomous features, but the belief that self-driving vehicles will take over the roads in two or three years time is unlikely. Courville stated that the road to full autonomy is fraught with conplex hurdles, both technologically as well as regulatory. According to CBC the conference at Caesers' Windsor was attended by around 300 people. A seemingly bizarre, and highly controversial, policy changed has been ratified by Cheltenham Council. All cabs in the borough will have to be Silver, and wheelchair accessible by December 2021. It was reported in Gloucestershire Live that despite vigorous opposition to the policy from cab drivers as well as their representative organisations, the change was rubber-stamped on November 6th. Drivers had argued that the changes required to bring their vehicles in line with the new initiative would be to costly to implement in just three years. The proposed changes, which were first announced in March, prompted dozens of irate cabbies to take to the streets, outside of the council office, in protest at the plans. It is believed that the policy may have wiped over £2.5 million off of the industry, with drivers stating that they would rather opt for a less polluting vehicle than convert their existing vehicle to a wheelchair accessible vehicle. Hundreds of cabs in Liverpool have been handed tickets and suspension notices for driving defective vehicles for work, it has been revealed. During a six-month operation set out to improve road safety within the industry, 586 tickets were issued, 192 of those were suspension notices, according to a report in the Liverpool Echo. Merseyside police and Liverpool Council also confirmed that 450 tickets were issued for leaving parked cabs unattended on designated taxi ranks. A previous operation that took place at the start of the year revealed that the figures for handing out similar notices were even higher at 768, so although there has been an improvement in safety standards, figures are still incredibly high. A recent report in Taxipoint, showed that 40 taxi and private hire drivers were arrested for driving while under the influence of drugs, highlighting the battle the authorities face to clean up the industry in the city. The latest figures mean that around 40% of cabs have been subject to defect notices or suspensions. Liverpool Council and Merseyside police have said they aim to ensure people using taxis and private hire cars in their area do so safely in the knowledge that the vehicle they travel in is safe, and the driver is responsible. They also stressed to all cab drivers that if they do not get their vehicles checked and any necessary repairs made, they run the risk of their vehicle being taken off the road. 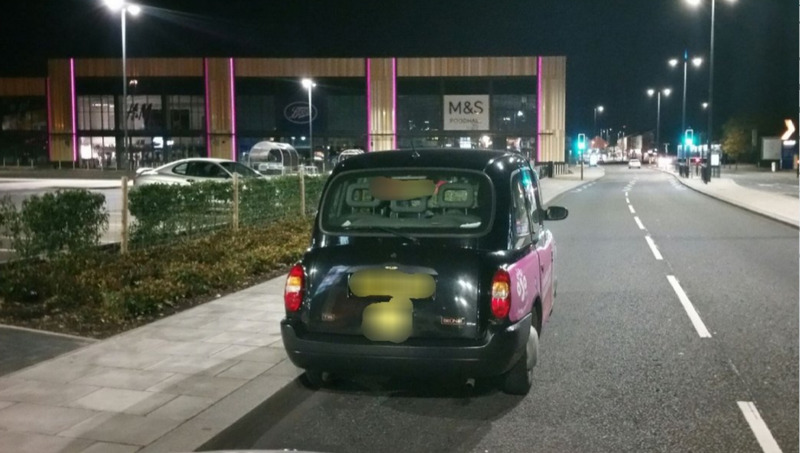 A similar operation in Derby also reported a number of taxi and private hire vehicles having defects and were also issued suspension notices. Cross-bordering has raised its ugly head once again, this time in Birmingham, where Councillor Paul Tilsley is calling for a boycott of the use of any driver who has been licensed by another authority. Reports that many drivers that operate in the Second City are in fact licensed by surrounding areas, most noticeable Wolverhampton City Council, has raised concerns about the future of the trade. Wolverhampton city council have faced much criticism about the amount of private hire licences they are handing out based on what many believe is an easier route in obtaining a licence. The issue was once again raised in the Birmingham City Council chamber this week, according to a report in the Express and Star. Mr Tilsley asked Councillor Barbara Ding, who is chairman of the Licensing and Public Protection Committee, to support his call for all Birmingham residents to boycott any any-of-town drivers by assuring they request only Birmingham licensed drivers be sent to pick them up by the operators. Wolverhampton city council have defended their licensing process, stating that their standards are among the highest in the country. Private hire drivers along with taxi drivers in Birmingham have said they are suffering since the Hugh influx of drivers from outside the city that are driving in to take the work. It's been announced, in a letter to Transport for London, that the United Cabbies Group (UCG) is withdrawing from TfL's engagement policy. "Your committee has unanimously taken the decision for the UCG to withdraw from the engagement policy with Tfl. This decision was not taken lightly and it will have no impact with the representation individual members receive. "Our organisation is made up of members who are fighters who are honourable and are not afraid of doing the right thing. Our trade is fighting for its very existence the UCG was formed to fight for our trade to put the interests of the trade first second and always.The UCG is unique within the trade because we don’t seek popularity we do what is right not what is popular. I hope you agree with your committee and continue to back it." The UCG have been part of TfL's engagement policy since January 2017, along with a number of other representative organisations from the licensed London taxi industry, with TfL receiving criticism over the lack of minutes taken at meetings, as well as the regularity of those meetings. There has been no response from Transport for London as yet. The race to move to an autonomous workforce seems to have attracted a frenzy of activity from those with money to burn looking for the Holy Grail. The motoring industry, in particular the taxi and private hire market, has long been the jewel in the crown for those wanting to shed a few employees and reduce the costs involved employing workers. At TaxiPoint we’re sent updates on an almost daily basis where companies claim to have made the breakthrough and driverless cars are imminent. Sometimes you’ve got to look past the investors rose-tinted glasses and actually seek a more impartial view on the challenges that remain. Private hire firm Addison Lee and Oxbotica, a British leader in self-driving vehicle software, have reportedly agreed a wide-ranging alliance that “accelerates the implementation of autonomous vehicles to London’s streets” by 2021. But how likely are we to see the technology from the minicab firm in the next couple of years? Not very likely if you listen to more impartial opinions from those not looking to burn the next colossal mountain of cash on a futurist pipe dream. At the recent Bloomberg New Energy Finance’s Future of Mobility Summit, a meeting that attracts all the top experts within the industry, a live poll was conducted asking its esteemed audience when consumers will be able to purchase a fully autonomous vehicle. The results are not encouraging if you are looking forward to be driven driverless soon. Almost three in four experts said the autonomous dream won’t be achieved before 2030. There are three very big road blocks that are proving tricky for those looking to make the breakthrough. Technology, regulations and public opinion. Quite simply the technology still isn’t there. Yes a vehicle can be driven in perfect conditions and with clear road markings. However, problems have emerged when any sort of variable is added. Whether it be the sun sitting in-front of a white vehicle, autumn leaves covering road markings, bin-bags sitting in the middle of the road, snow covering sensors and road markings, the list goes on. Several high profile accidents, and in some cases fatalities, have also hindered progress. The race to become the first city in the world to introduce driverless cars continues to push regulations to a level that have seen trials introduced and then quickly stopped on the grounds of safely. Then you’ve got the big question, do people actually want driverless cars? Do the majority of drivers want to give up the freedom and skill of driving the vehicle that each motorist is trained to drive? There’s a still a future for taxi drivers so long as these road blocks remain. An attack on yet another taxi driver has led to drivers calling for a boycott of the Lisson Grove area of London. The attack, which took place at around 8pm on November 5th left the cabbies two week old vehicle seriously damaged. Taxi driver, David Folwell, took to facebook to explain how a group 30 or 40 masked people began throwing bricks, bottles and cones at his vehicle in the attack which took place in Lisson Grove, near the junction of Church Street. The attack is the latest in a long series of incidents in the area, which has left taxi drivers both frustrated and angered at what is seen as a serious lack of action from the authorities. The area around the Lisson Green Estate has always been seen as a hotbed for criminal activity in recent years, with the council seemingly aware of the high level of criminal activity. The police are also fully aware of a multitude of incidents, with many taxi drivers reporting incidents involving "The Lisson Grove Mob." Angered cabbies are now calling for decisive action from the police, with many calling for a boycott of the area and some even suggesting that a number of drivers should descend upon the area and confront the thugs. Drivers have also roundly condemned the lack of police action surrounding the problem, with a number of drivers branding the authorities as "useless." Merseyside Police have revealed that more than forty taxi and private hire drivers have been arrested for drug-driving since the turn of the year. The police are now warning all drivers that being caught driving under the influence of drugs could result in them losing their job, being imprisoned and even result in the loss of life. The seriousness of the crime was highlighted in the Liverpool Echo, with a spokesperson for the police telling them that drivers, especially taxi and private hire drivers, have a duty of care to the public to ensure their safety. The police have stated that the offence of driving while under the influence of drugs will not be taken lightly. The final decision on whether a driver should have their licence revoked lays with the licensing authority, it this case; the council. They have made it very clear that any driver arrested for committing such an offence, or is being investigated for such allegations, will generally have their licence revoked with immediate effect. 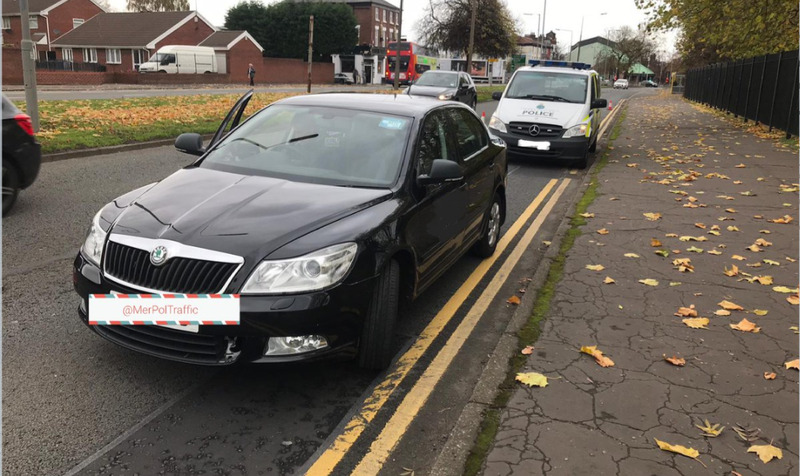 Merseyside’s Roads Policing Unit recently reported one private hire driver who had only been a driver for three days and was found to be under the influence of cocaine. Another incident highlighted by the Unit was of a hackney carriage driver who was stopped and tested for drugs. He was arrested for providing a positive drugs test. Drivers caught drug-driving will face the same punishments as those caught driving under the influence of alcohol. This has been made clear by the police. Police in Essex want to identify a man in connection with an hate crime assault on a taxi driver in Grays.The assault happened at around 5.45am on October 6 in Arterial Road.The victim’s hair and beard were pulled while the taxi was in transit.When the victim pulled over and came to a stop, he was then subjected to verbal abuse.Police constable Jack Emerson said:“The abuse shouted at the victim was about his nationality and we are treating this as a hate crime. 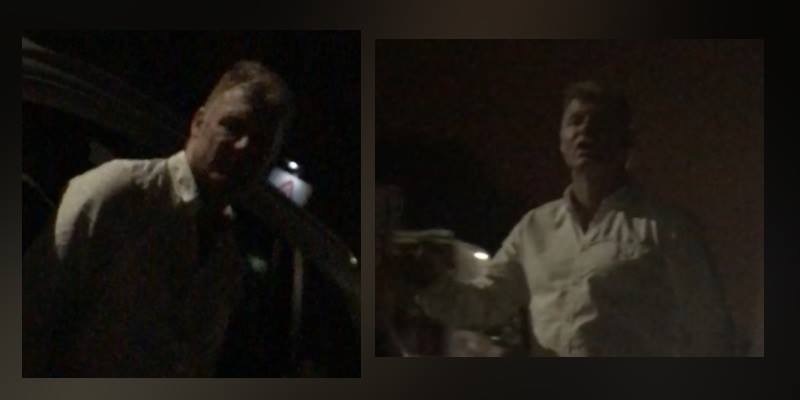 "We want to identify the man in these CCTV images, as well as a man who was walking his dog along Arterial Road at the time.“The incident unfolded in front of the witness with the dog, and we believe this man called another taxi company to arrange for the man to be collected and taken to the Enfield area. "We appreciate these images are dark, but we think someone may still recognise the man in them. "The man who assaulted the victim was described as white, early to mid-50s, of large, muscular build and had short ginger or blonde hair. He was wearing dark blue jeans, a white t-shirt and brown shoes. Please contact Pc Emerson on 101 or Crimestoppers anonymously on 0800 555 111 if you can help our enquiries.